Last week I posted a sketch that was inspired by John Marcotte’s website, Heroic Girls. John has kindly give “The Art of Dad” a shout out on his site and I invite you to have a look at the great work he’s doing if you haven’t seen it already! Thanks John, keep it up! 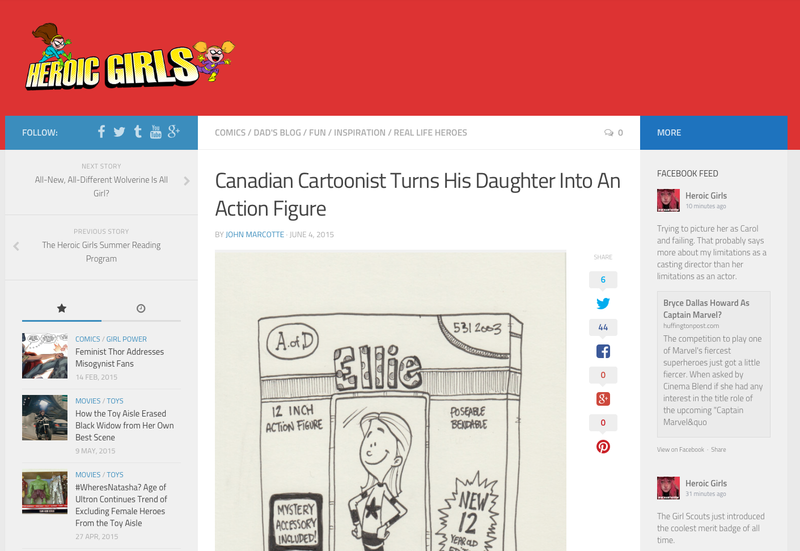 This entry was posted in Parenting and tagged cartoonist, daddy blogger, daughter, heroic girls, parenting, parenting skills, parenting tips, superheroes by artofdad. Bookmark the permalink.